"The Sri Lankan government needs to go further and faster on human rights and reconciliation," David Cameron told a press conference. 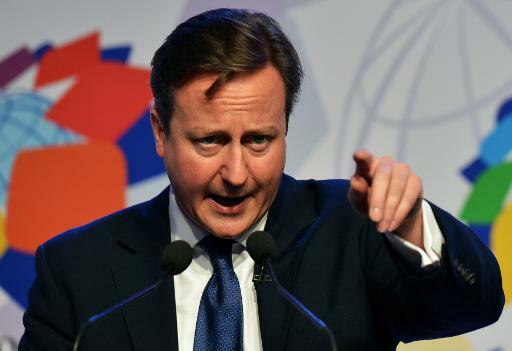 AFP – Britain’s David Cameron put Sri Lanka on notice Saturday to address allegations of war crimes within months or else he would lead a push for action at the UN. Speaking at a troubled Commonwealth summit in Colombo, the British premier warned his hosts that pressure over alleged abuses at the end of Sri Lanka’s ethnic conflict was not about to go away. But a Sri Lankan minister said Colombo would “definitely” not allow international investigators to conduct a probe on its soil. Cameron, who made an historic visit to the former war zone on Friday, also told of how he had “frank” exchanges with Sri Lankan President Mahinda Rajapakse on his return. “The Sri Lankan government needs to go further and faster on human rights and reconciliation,” he told a press conference. “Ultimately all this is about reconciliation and closure and healing to this country, which now has the chance, if it takes it, of a much brighter future but that will only happen by dealing with these issues and not ignoring them. The UN and rights group say as many as 40,000 civilians may have been killed in the final stages of the war in May 2009 when Tamil Tiger rebels were routed. However Rajapakse has denied any civilians were killed and has also blocked all calls for an independent probe into claims of war crimes committed by government forces against the Tamil population in the Jaffna region. Cameron said Rajapakse wanted more time to address the claims but put him on notice to deliver by March or else he would push for an international investigation through UN human rights bodies. Cameron upstaged the first day of the three-day meeting Friday by travelling to Jaffna which bore the main brunt of the 37-year war, meeting local ethnic Tamils who lost loved ones or were left homeless. He was the first foreign leader to visit Jaffna since Sri Lanka, a former British colony, gained independence in 1948. While Sri Lanka had hoped the summit would showcase its revival since troops from the mainly Sinhalese government crushed the Tigers, Cameron’s visit and boycotts have torpedoed its strategy. In an interview with AFP, Rajapakse’s brother Basil — who is also the economic development minister– thanked Cameron for at least attending but rejected any idea of an inquiry by foreign investigators. Asked about the March deadline for the Sri Lankans to complete their own inquiry, the minister rejected any talk of a timetable. “They can’t give dates. It is not fair… Even in Northern Ireland it took a lot of time,” he said. Cameron received an emotional reception in Jaffna from locals who told him of their plight during the war and in its aftermath. 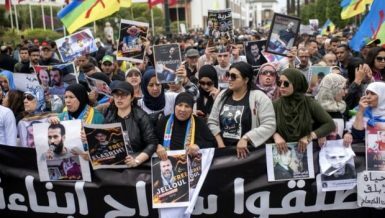 Their desperation was underlined when two women tried to hurl themselves in front of his convoy, clutching pictures of loved ones who were killed in a conflict which claimed more than 100,000 lives. Cameron held talks late Friday with Rajapakse, acknowledging that “very strong views were expressed on both sides”. According to his office, Rajapakse asked Cameron to give Sri Lanka “more time to overcome all major challenges”. The talks would have added to Rajapakse’s anger with his peers after the leaders of Canada, India and Mauritius stayed away. 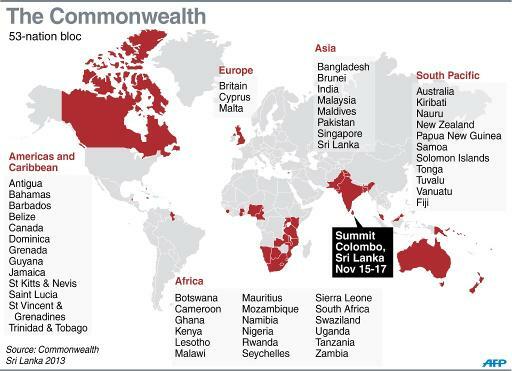 Late Friday Mauritian Prime Minister Navin Chandra Ramgoolam said his country was withdrawing as host of the next gathering in 2015 as “human rights are more important than hosting a Commonwealth summit”. Since the war, Sri Lanka’s economy has grown at rates of up to 8.2 percent and major infrastructure projects such as a new $350 million highway linking Colombo to the main airport bear testimony to its revival. Basil Rajapakse said a Commonwealth Business Forum on the sidelines of the summit had helped showcase Sri Lanka’s economic potential. “In the last few days, we have finalised investments amounting to about 1.2 billion dollars. This comes from Australia and New Zealand into the mineral sands and dairy sectors,” he said. 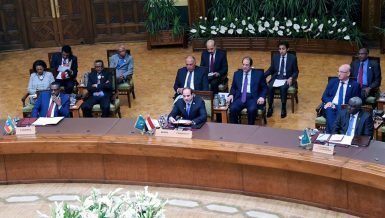 The summit is meant to focus on issues such as poverty reduction and climate change but press conferences have been dominated by questions over the war crimes issue. The leaders shifted from the main conference venue in downtown Colombo Saturday, gathering behind closed doors at a deluxe hotel on the outskirts of the capital.